If you want to try out linux on your own computer (without trying it in a VM), you can easily boot linux from a USB-stick. This also comes in handy if you want to retrieve info from a harddisk on a computer that you don’t have credentials for (if the disk is not encrypted), want to run boot-recovery (in case bootmanager stops working) etc. Anyways, what you need to accomplish this is a USB-stick, internet and a computer. We need some software that can write an iso (diskimage file) to a USB-stick, and for this we’re going to use unetbootin. 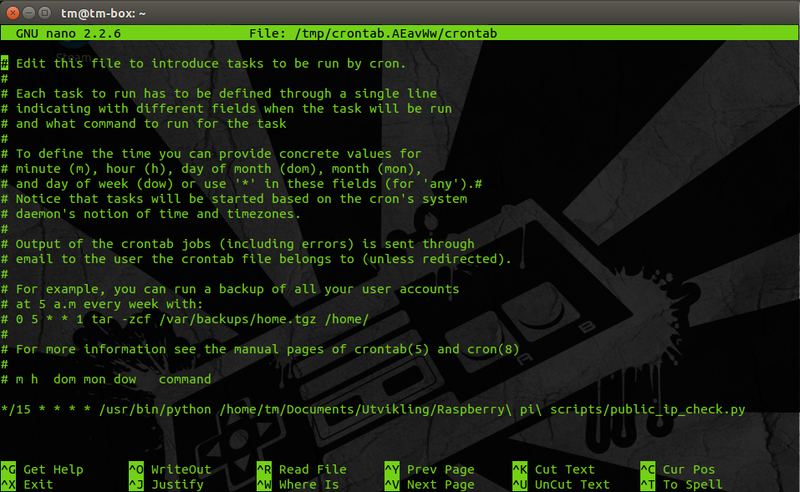 Get unetbootin from https://unetbootin.github.io/ or use a package manager to install it from your repository of you’re on linux. 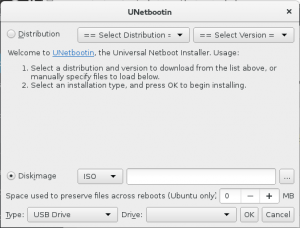 Install unetbootin following the directions in the installer. 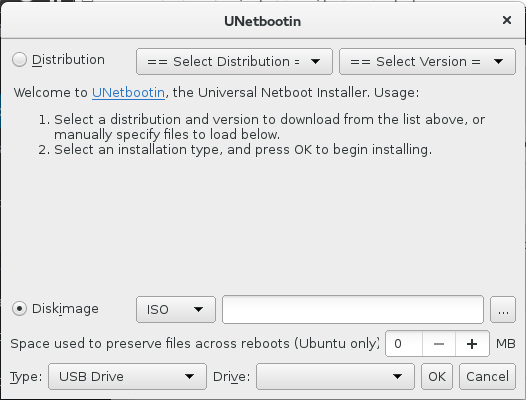 When unetbootin is installed you should find and download a distribusjon of linux. I would recommend starting with Linux Mint, Ubuntu or Fedora. The easiest one to start with and the one most simular to Windows GUI-wise is probably Linux Mint, but all three distros can be downloaded with another desktopmanager than the default one. From this window, select diskimage (which is what you just downloaded) and click the three dots to the far right to browse for your diskimage. When you have found and selected your diskimage, make sure that Type is set as USB Drive, and not harddisk. Select your drive and click OK. It probably takes a minute or two until this process is completed, and when it is done you can reboot your computer. 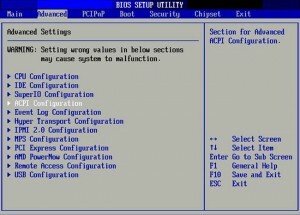 If you have BIOS, try pressing F2, F8, F12 or Ctrl+Alt+Delete during startup before the operating system logo shows. If your computer is showing a splash screen with the motherboard or manufacturer-logo, you can usually see a key combination somewhere on the screen as well. 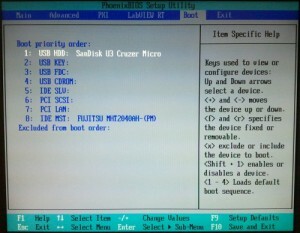 From the BIOS boot tab, change the order of the bootable devices so that the USB-stick is the first one to be looked for. Then Save and Exit, and your computer will restart. 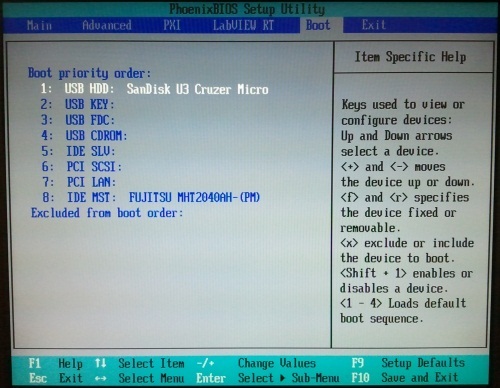 If your USB-stick is inserted while rebooting it will prompt you with a screen where you can select to try Linux without installing. 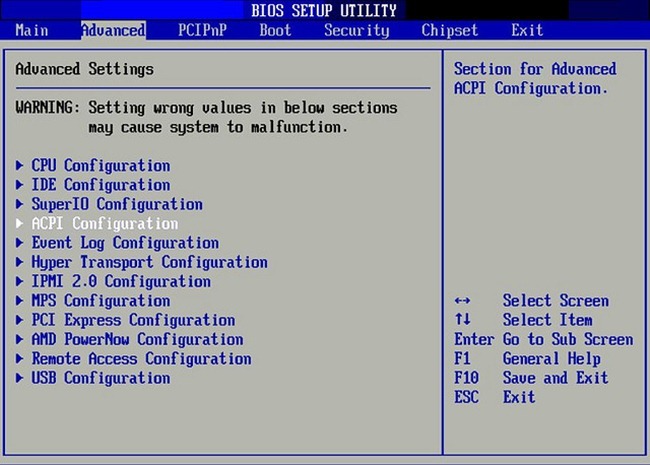 Choose that option and press Enter, and your computer will boot Linux.